To meet the diversified requirements of our prestigious clients, we are engaged in offering Paddle Wheel Flow Transmitter that is available in a wide variety of specifications as per the exact requirements of clients. 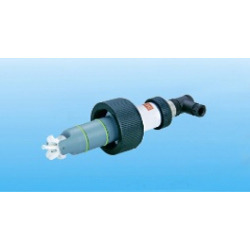 The offered transmitters are designed as per international standards using the best quality components and sophisticated technology under the guidance of the expert team at vendors'' end. In addition to this, clients can avail these transmitters from us in customized options and at market leading prices. Incorporated in the year 2008, Environmental Sensor Technologies Pvt. Ltd. is a leading organization engaged in distribution, import & export of Process Control Instrument, Digital Volt Meter and Amp Meter, Level Indicator, Programmable Timers & Counters, Temperature Transmitters RTD, RTD & Thermocouple Sensors, Temperature & RH Indicator, Data Logger, Water Analysis and Controlling Instrument, Colorimetric Free & Total Chlorine Analyzer, Amperometric Free Ch, etc. The offered products are designed and manufactured conforming to international quality standards. The products are acknowledged for robust construction, superior performance and longer service life. We offer our products in wide range to meet the various requirements of industry.